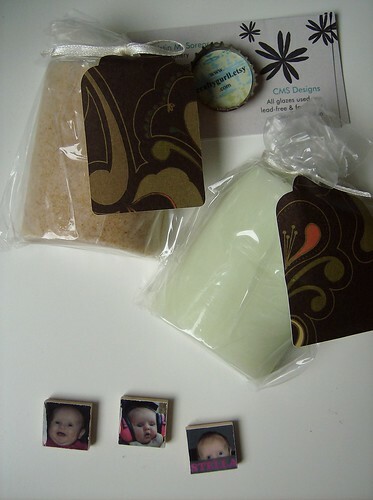 Next up are two neat homemade soaps, and 3 great custom magnets (do you recognize Stella? ), both received in the Craftster Sweat Shoppe Swap. The soaps smell great and I gave the magnets to Stella's parents who liked them a lot. 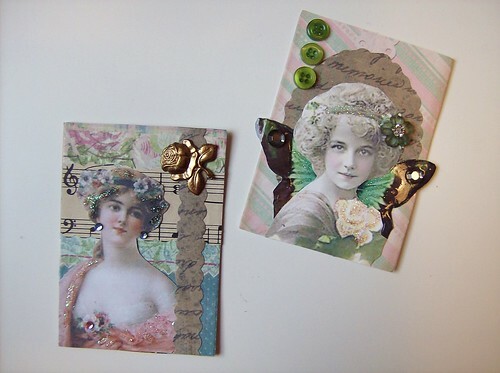 And last but not least, these lovely ATCs made by Jody, received in a private swap at Swap-bot. I love these pretty vintage ladies! Oh, I have fabric bowls on my Wist!! 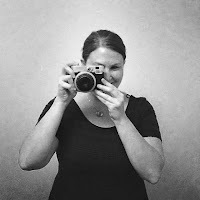 I looked at tutorials on how to make them, and decided I'll just leave them on my Wist instead ;-). What great craft swap goodies you received!! love those ATC's...i am jealous and i can't wait to try your yummy oreo brownies. does it get any better than brownies WITH oreos? 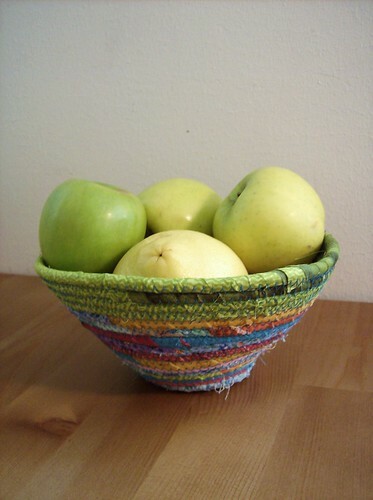 The fabric bowl is great! I would like to try to make one too.